Persian New Year: In Iran, the idea of “spring cleaning” isn’t just a seasonal excuse to gut your closet; it’s the basis of a national holiday dating back millennia. Every year, millions celebrate Persian New Year, or Nowruz (pronounced “no-rooz”). In Iran, the new year begins with the advent of spring, and most everyone in the country — not to mention the millions of Iranians and non-Iranians who celebrate the holiday elsewhere around the world — observe it by doing a deep clean of their homes, celebrating a season of new life, and wishing for good luck in the year ahead. 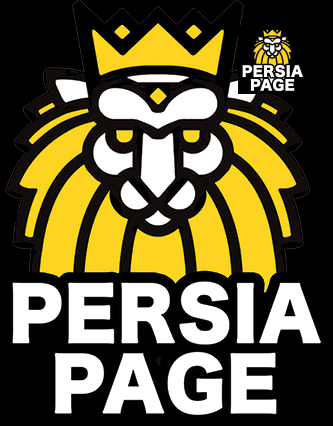 You might have heard about Nowruz peripherally. The United Nations formally recognized it as an international holiday in 2010; President Obama extended Nowruz greetings to observers every year of his administration since 2009 (although they often doubled as statements on the relationship between the United States and Iran). Then-first lady Michelle Obama even held a Persian New Year celebration at the White House in 2015, complete with the Obama family’s own haft-seen (more on what a haft-seen is later). 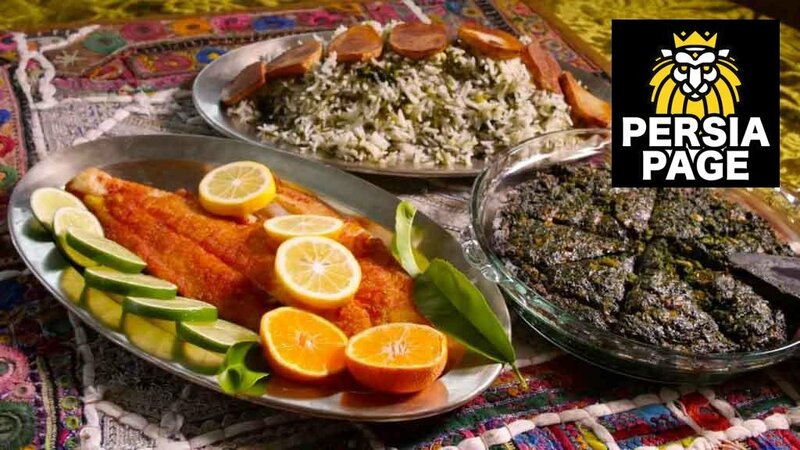 If you didn’t grow up celebrating Nowruz like I did, though, the concept might be confusing — actually, it was even a little confusing for me, since my childhood memories of Persian New Year mostly concerned salivating over the delicious rice dish my mother would make in its honour. But once I started to learn more about what Nowruz means outside of food — which, to be fair, is an important part of most holidays on this planet — I realized how fascinating its layered traditions really are. Nowruz marks the end of the old year and the beginning of a new one, and it occurs on the day of the vernal equinox. More accurately, the new year begins the second the equinox does — so, not just at the stroke of midnight. Usually, the equinox happens from March 19 to 21; this year, Nowruz lands in the evening of March 20. (Though if you’re an expat Iranian, the equinox arrives around 12 pm Eastern.) But there are also aspects of Nowruz that permeate Persian culture for weeks leading up to the holiday and even a couple of weeks afterwards. No one knows exactly how far back Nowruz dates. The best estimates sit somewhere in the range of 3,000 years. 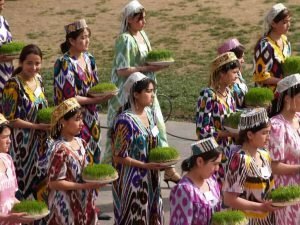 But the most important thing to know about Nowruz’s origin story is that it’s rooted in Zoroastrianism, an ancient Persian religion that predates both Christianity and Islam. (Since Zoroastrianism dates back thousands of years, it’s hardly confined to within the borders of Iran or the many versions of the Persian Empire there have been — which is why Nowruz is also celebrated by millions of non-Iranians around the world.) When the 1979 revolution ended with Persia becoming the Islamic Republic of Iran, the new government tried to scale back the level to which Nowruz is celebrated, citing the holiday’s pre-Islamic roots as grounds for its removal. But even in a nation that was fragmented to the point of revolt, the prospect of losing Nowruz prompted furious pushback that was too overwhelming to brush aside. After thousands of years in the making, Nowruz remains too beloved, universal, and deeply embedded in Persian culture to ignore. And because the holiday has been around for so long, it suffers no shortage of related traditions. But there are nevertheless a few basic, foundational tenets that nearly everyone who celebrates Nowruz — in Iran and elsewhere — upholds. 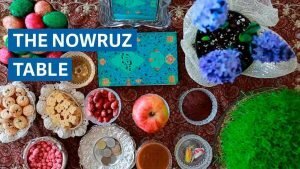 How do you prepare for Persian New Year? People start getting ready for Nowruz about three weeks before the actual vernal equinox. Pretty much everyone goes into the serious spring-cleaning mode, ridding their homes of any unnecessary clutter and lingering grime that’s settled in over the past year so they can start fresh. At this time of year in Iran, you’re likely to see countless Persian rugs hanging outside, where their owners can beat the dust out of them. While these seven S items are the foundation of a haft-seen (which literally means “seven S’s”), the tradition has evolved to the point where there are several other things you can include. For example, when I was growing up, my family’s Shaft-Seems always included a mirror symbolizing reflection, colored eggs for fertility, coins for prosperity, and, if we were feeling ambitious, a live goldfish for new life (an ironic association in my house, where pretty much every goldfish we brought home died immediately). Once you have the seven cornerstones set, the haft-seen is yours to customize. Muslim families will sometimes include a Quran. Sometimes a place of honour will go to a volume of poetry by Hafez, one of Iran’s most beloved poets. Once the day of Nowruz arrives, it kicks off a 13-day celebration of dinners, family visits, and reflections on the year ahead. On the 13th day, you take the Sabzeh that’s been growing in the haft-seen to whatever natural body of running water you can find and let it float away, to release the old and usher in the New Year. My mother, who grew up in Tehran, told me that Nowruz usually saw everyone piling their Sabzeh into their cars to head off into the mountains, the better to find a water runoff to set their greens adrift. And even though that meant braving a traffic jam like none other, everyone did it.